﻿ News Bharati - Welcoming the new CBI Director, IPS Rishi Kumar Shukla..! News Bharati - Welcoming the new CBI Director, IPS Rishi Kumar Shukla..! Welcoming the new CBI Director, IPS Rishi Kumar Shukla..! 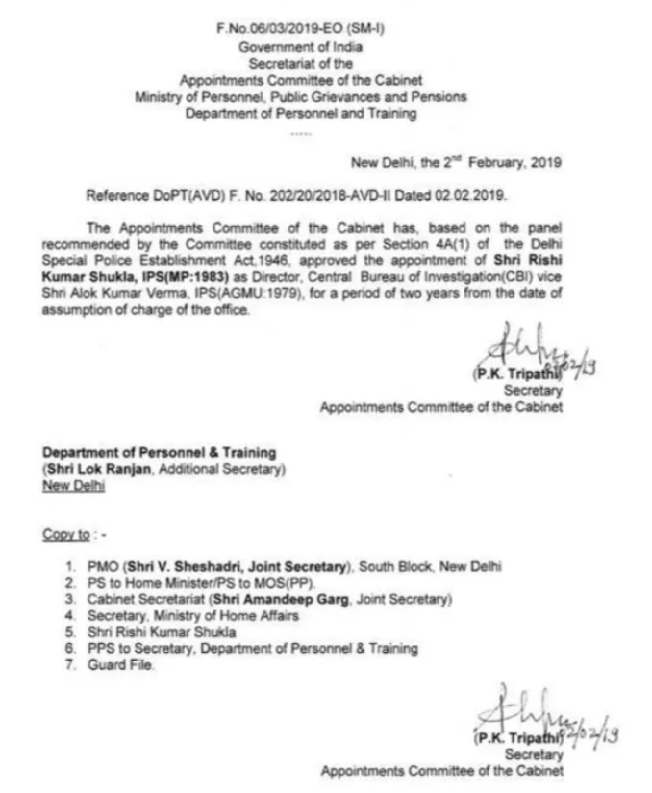 New Delhi, February 2: The PM Modi led selection panel on Saturday appointed IPS Rishi Kumar Shukla as the new CBI Director for a period of two years. The post of the CBI chief had been lying vacant since January 10 after the unceremonious exit of Alok Verma, who had been engaged in a bitter fight with Gujarat-cadre IPS officer Rakesh Asthana over corruption charges. 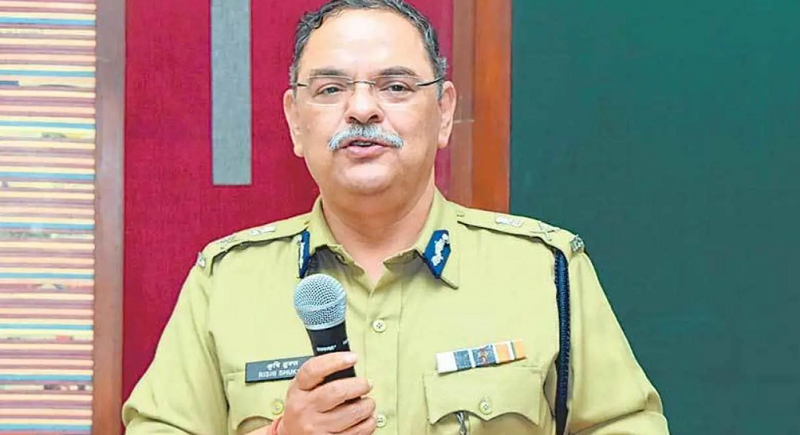 Rishi Kumar Shukla, a 1983 batch IPS officer, was earlier working as the OSD in the Bhopal, Police Headquarters (PHQ). His name was chosen from a shortlist of over 30 contenders for the top post by a committee led by Modi. The second meeting of the selection committee remained inconclusive on Friday after one of its members, Congress leader in the Lok Sabha Mallikarjun Kharge, declined to accept some names suggested by the government. Modi headed the panel in which Kharge was the leader of the largest opposition party in the Lok Sabha and CJI Ranjan Gogoi were the other two members. Shukla's appointment concludes the conflict remarks of India's prime investigative agency, which began with the top two CBI officers Verma and Asthan. Both then levelled corruption allegations against one another. As a result of this, both officers were placed on indefinite leave by the government on the recommendation of the CVC (Central Vigilance Commission). Nageshwar Rao was appointed Interim Director CBI.